Iliotibibial Band Syndrome is a contracture or thickening of the Iliotibial Band. 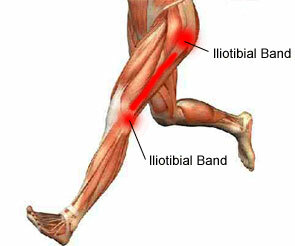 The Iliotibial band is located on the outside of the leg running from the hip to the knee. Iliotibial Band Friction Syndrome is inflammation and pain where the Iliotibial band crosses the lateral femoral condyle (outside of the leg near the knee). Iliotibial Band Syndrome or Iliotibial Band Friction Syndrome can either occur on one side of the body or both. 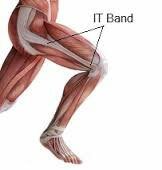 If you have any questions regarding Iliotibial Band Syndrome contact our staff at Dynamic Physiotherapy.